When it comes to an ERP implementation, companies often decide they will start with a multi-phased approach (which happens in phases, over time) as opposed to a “Big Bang” strategy (which happens when a business switches from an old ERP to new ERP at a single point in time). With the phased approach, they have grand plans. But then the hard work begins as they implement core, critical modules. In many cases, IT teams will start with basic features in the first few modules, fully intending to come back later to take advantage of all the functionality in those first modules. Implementations, however, are notoriously tough. Individuals and companies get burned out quickly, and before too long, people just want to get on with the business at hand. The result? They abandon their efforts to implement the deeper functionality—in other words, the “good stuff” that has major payback for their organization. You can avoid this frustrating scenario with some strategic forethought: a business process assessment. Such an assessment would allow an organization to compare its use of software to its capabilities and determine which additional features would benefit the organization the most. If your internal team is too strapped for time, consider using a third-party to perform this assessment; it will help ensure your business processes and software are in lockstep going forward. As we learned in Mistake 1, good intentions to “revisit later” are often abandoned over time with a multi-phased approach. Similarly, critical knowledge is lost along the way when key internal or contract employees leave or retire. There is insufficient knowledge in-house to manage and support the systems. This is particularly true for legacy software implementations where the the software is older than those supporting it and using it internally. Few remember the planned breadth of the implementation or even the primary reasons as to why they bought the software in the first place. To avoid this, it’s essential to fully document your multi-phase implementation plan and review it on a regular basis to ensure all participants can decide if next steps are warranted. You can also work with an experienced, well-established third-party support provider so you have a reliable resource in place who understands the software AND your business—and ensures that both are synchronized and well-supported going forward. If knowledge has already been lost, these organizations can step in to perform assessments and document processes and procedures to better understand how the software is (or should be) used. This last mistake is yet another function of the aforementioned phased approach—whole modules of functionality that are planned to be implemented down the road never get installed (for many of the same reasons mentioned above). For example, a company may not implement functionality like finite capacity scheduling, quality management or business intelligence. Instead, they fill the gaps with Excel spreadsheets. Then, when they finally realize they need these areas of functionalities, they implement the “new” functionality outside of their existing ERP solution. An automobile electronics supplier built its own forecasting module from scratch not realizing their PRMS ERP software had a comprehensive Forecasting Workbench module. A confectionary company decided to implement a third-party scheduling application; an implementation that cost hundreds of thousands of dollars and in the end, failed. Had they looked to their existing ERP, they would have had about 90% of the benefit at less than 10% of the cost with the PRISM Quick Schuler module available in their existing ERP. As our employees were part of the organizations that created the PRISM, PRMS and BPCS ERP applications, we routinely receive calls from IT managers with questions from their end users, “Can the ERP handle this situation?” In more than 95% of the cases our answer is “Yes and here’s how.” It pays to ask the experts before you invest to reinvent the wheel! 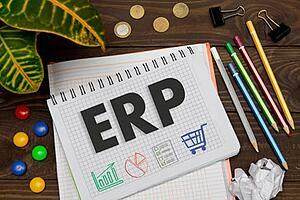 Want tips on when you really DO need to replace your legacy ERP? Download our white paper now. Are any of these mistakes happening within your organization? It may be time to tackle them now and change course. Also, if you’re seeking outside help, keep in mind that you should consider engaging with an organization that is familiar with the ERP you have implemented. Remember, a little investment upfront can save you significant sums after the fact! Just connect with us now to let us know if we can help.